As recent report says, the Ash cloud which was travelling towards the metropolitan city of Quito has been deviated towards northeast of the city. This occurred due to the winds blowing from the west. 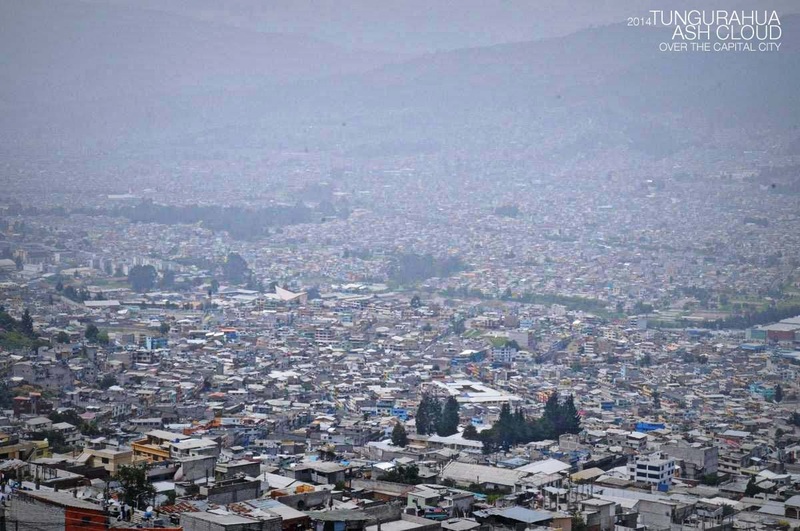 So now there won't be any ash falling from the skies of Quito. 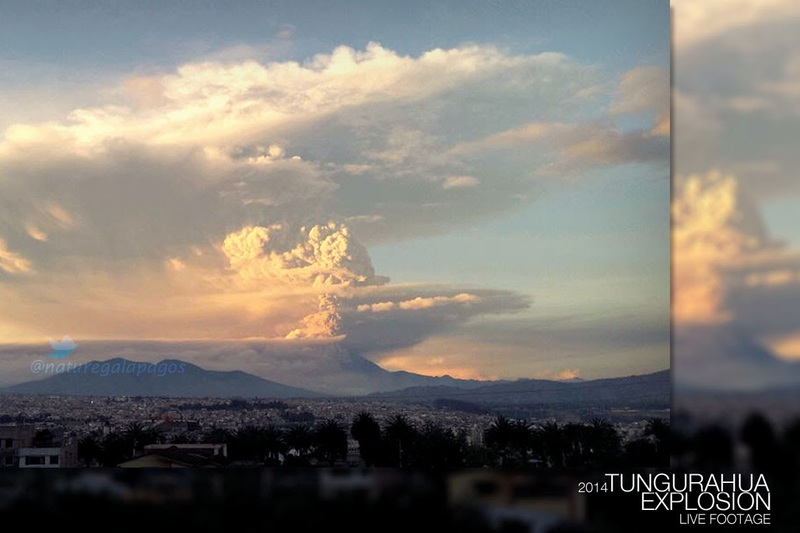 Ash Cloud deviates from capital city, Quito. Governor of Tungurahua, Lira Villalva chairs a meeting in the ECU 911 Ambato to assess the situation of the volcano and visited the base of the Geophysics Institute of Guadalupe. Let's see what exactly happened. The first two explosions were moderate but the third one took place at 17.39 hrs and was longer enough to throw out ash reaching out to 8 kms quickly. The ash then falls around all sides of the volcano while the flows reaching to the bottom the ravine Achupashal blocking the way to the famous tourist spot, Baños. Residents of Cotaló and Bilbao were evacuated and relocated in the canton Pelileo Army on the activation of contingency plan. There are many other active volcanoes in Ecuador. It would be pretty much appropriate to call Ecuador "The Land of Volcanoes". For pictures of all these Volcanoes, Click here! Volcanic and minor seismic activities are witnessed throughout the year in Ecuador. Since 1999, there has been a significant increase in the number of such activities. Causing the neighboring cities get covered under the layer of ash for next few weeks.